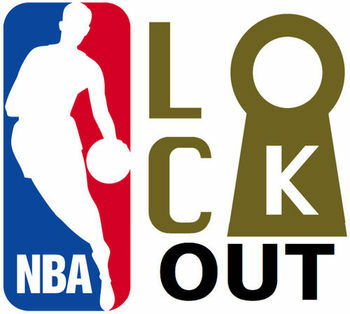 After allegedly losing money for the last 11 seasons the NBA decided to alter its business model. This led to a 149-day lockout that claimed the first 7 weeks of the regular season and cost the NBA an estimated $480 million. As with most labor disputes the issue at hand was money. The players wanted their “fair” share but the league argued that they could not continue operating under the current agreement which was causing them to lose over $300 million a year. The league lost money every year of the just expiring CBA. During these years, the league has never had positive Net Income, EBITDA or Operating Income. 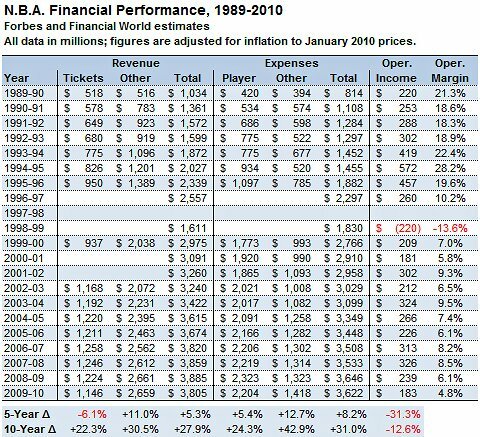 The Knicks’, Bulls’ and Lakers’ combined net income for 2009-10 does not cover the losses of the 23 unprofitable teams. Our net loss for that year, including the gains from the seven profitable teams, was -$340 million. Before the lockout the terms of the collective bargaining agreement (CBA) gave 57% of basketball-related income to the players. Under the new CBA this was lowered to 51% in order to provide more revenue to the league and close that $340 million gap. But as the dust begins to settle the question remains: did this change in the NBA’s business model really solve the problem? Before we answer that question let’s take a step back and look at the numbers. The NBA generates an annual revenue of $3.8 billion (to put this in perspective the NBA is a bigger business than JetBlue Airways). And how do they “rank” in the industry of professional sports entertainment? 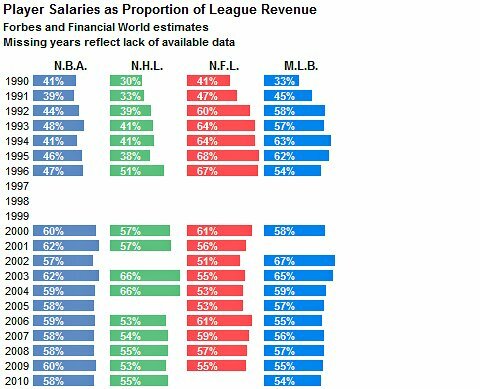 Well the NFL generates approximately $8.5 billion annually and Major League Baseball makes about $7 billion in annual earnings. So the NBA is in a distant third place, trailing the NFL by a $4.7 billion. So why is the NFL twice as successful as the NBA? Could it be that the NFL has a better business model than the NBA? As we compare the NFL to the NBA let’s remember that a fundamental rule for any successful business model is to have quality customers (in this case, the customers are called fans). The business these companies are in is the sports entertainment business and sports are fueled by competition. Where am I going with this? I’ll show you. “If Paul winds up with the Knicks and Howard lands with the Nets, 15 of the league's top 25 players would be spread among just six teams. In a league where superstars rule, that is depressing news for the other 24 franchises. Superteams may boost ratings in May and June, but they do nothing to help ticket sales for a Detroit-Charlotte game in January." Did you catch that? Since there are only 6 superteams in the NBA the rest of the league suffers in ticket sales. As Beck said, this may boost ratings during the playoffs but it hurts ticket sales for the other 24 teams during the regular season. But what can be done about this business model blunder? Again, let’s look at the NFL who seems to be doing a much better job than the NBA. One main difference has to do with the hard salary cap the NFL imposes which helps minimize superteams from forming. This is why in the last 30 years, 14 NFL teams have won championships — the last five by five different teams. The competitive element is fostered by the NFL by providing opportunity to almost any team (despite the size of their franchise) to win the Super Bowl. Even under the new CBA, the NBA still maintains a soft salary cap which does little to prevent these superteams from continuing as they always have. During the labor dispute the NBA commissioner David Stern stressed that the system needed to be changed to balance the playing field and give small-market teams the same chance as large-market teams to compete for a championship. So the system (aka business model) was changed but not according to Stern’s statement. Fans lost 7 weeks of play, the NBA lost revenue and the salary cap is still soft. 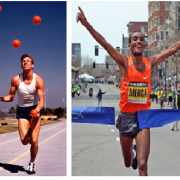 What really changed? Previous PostBlockbuster Misses a Golden Opportunity…AgainNext PostIf you survived the recession- you may have a new problem?